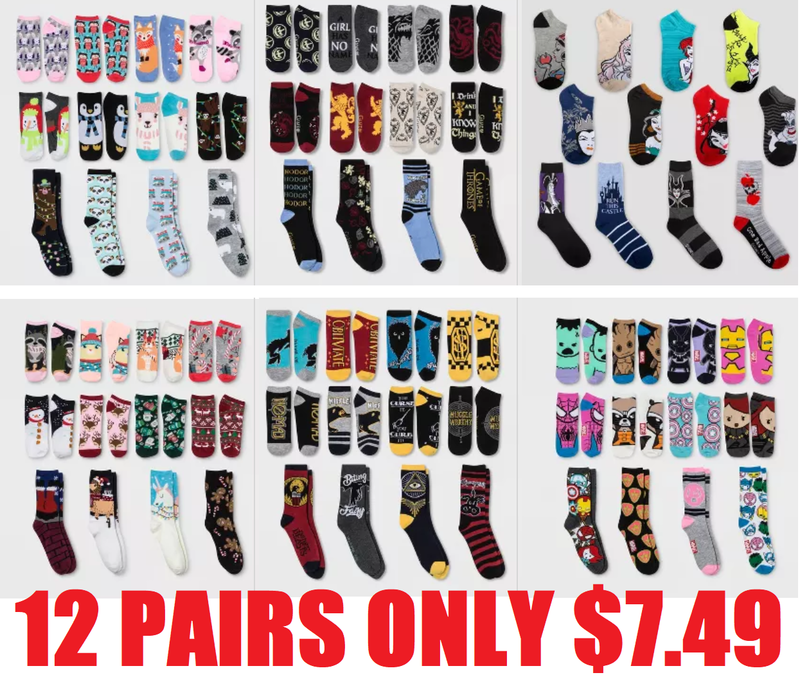 12 Pairs of Women's Character Socks Only $7.49 (Reg $15) + Free Pickup at Target, Free Shipping with Red Card or with a $25 Order. Choose from Disney Princess, Marvel, Star Wars, Mickey Mouse, Game of Thrones, Fantastic Beasts, Santa's Sleigh or Critters. 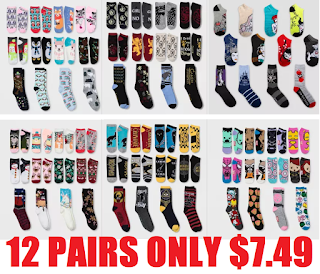 These come in Advent Calendar boxes, but either way you get 12 Pairs of super cute socks for only $7.50! !